My 14th stop on the Global Reading Challenge took me to Peru in South America. Ostensibly this book is about the disappearances of three men in the mountains of Peru which two Civil Guards are sent to investigate. However this is not much more than a plot device for the author to explore broader themes such as poverty, violence and hopelessness. And he throws in a dash of romance (of the cruder variety) for levity. If I’d read anything about this book before picking it up from my local library I wouldn’t have brought it home with me because it is exactly the kind of book my brain cannot process. Although it didn’t take me as long, reading it reminded me very much of the long four months it took me to plod through Gabriel Garcia Marquez’ Love in the Time of Cholera a few years ago because everyone said it was so wonderful. I once again thought I’d have made about as much sense of the book if I’d read it in its original (and to me incomprehensible) language. In short I don’t ‘do’ magical realism and this book is full of it. The two investigators, Captain Lituma and his sidekick Tomás, treat the local villagers as little better than savages or simpletons, especially when they discover that the locals still practice ancient spiritual beliefs and attribute the disappearances of the three men to these mystical elements. I won’t even pretend I understood these beliefs which seemed to have a heavy supernatural element and the only thing I’ll remember is the ‘pishtacos’ which are some kind of fat-sucking spooky thing that I don’t think it would be pleasant to meet. Aside from this element the book is extremely violent, not surprisingly I suppose as it looks in-depth at the brutal reign of the communist guerrillas known as Sendero Luminoso (or Shining Path) and their impact on local people and politics. Lituma believes they’re responsible for the disappearances rather than any mystical being and he spends a lot of time talking about murders, rapes and torture he has witnessed or knows of. There wasn’t much room for sunshine and happiness in all of this. I imagine Lituma’s endless fascination with his off-sider’s romantic attachment to a prostitute he went on the run with when he shot her client while she was servicing him was meant to provide that lighter element to the book but honestly I just found it needlessly crude and bordering on repulsive. The combination of a narrative told from a constantly changing point of view, a major fantasy element and the endless violence and crude language did not appeal to me at all. Even the translation provided a bit of a struggle as many words were left in the original language with no explanation provided as to why. There were moments where I was engaged enough by a snippet of narrative to want to learn more about the plight of the people (or, heaven forbid, find out the outcome of the mystery) but these were few and surrounded by too much surrealism for me. In fact I wouldn’t have bothered finishing the book at all if it weren’t for the fact that South American books have proven elusive to track down for the Global Reading Challenge. 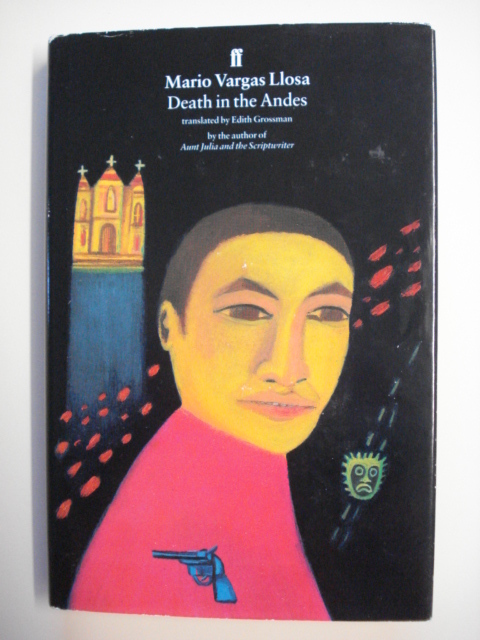 However, there are plenty of very positive reviews of Death in the Andes at Amazon and elsewhere so don’t take my non-fantasy-loving brain’s word on it. 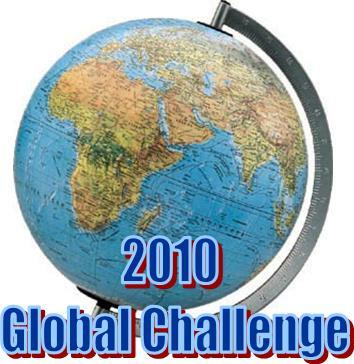 This entry was posted in book review, Global Reading Challenge 2010, Mario Vargas Llosa, Peru. Bookmark the permalink. I think I’ll take your word for it as I don’t think I can “do” magic realism either, although I wish I could as I’d love to read Marquez’s classics. And I can live without all the violence. I think I’ll skip this one and look for other referrals for South American mysteries, although I’d like to find authors writing about their native countries. I like to find authors writing about their native countries too Kathy, and for the most part I have enjoyed the differences in styles that I have come across in my international reading but this one was beyond me. Bernadette-Thanks for the review, I know what you mean by ‘room for sunshine’ books full of unremitting gloom and doom just turn me off unless they are done with some subtlety and have a message. Where magical fantasy is concerned I remember that you like Colin Cotterill’s books which have the spirit world elements, but of course the Dr Siri books have a sense of humour and are written with a light touch and no crude language. So glad I’m not the only one whose mind, for whatever reason, is not wired for magical realism. I remember being very disgruntled in college by a professor who raved about ONE HUNDRED YEARS OF SOLITUDE and I absolutely could not get it.